It wasn't so much his high school play that got Mark Razook a scholarship at Cal-State Fullerton, The Los Angeles Times wrote in 1986. It was Razook's play in American Legion ball, The Times wrote. "If I wasn't playing Legion ball, I wouldn't be where I'm at now," Razook told The Times. "I would've gone to a junior college and tried to get drafted out of there." Instead, he went to Fullerton and was drafted from there, taken by the Mariners in the 16th round of the 1988 draft. Razook's success in American Legion ball and at Fullerton, though, was short-lived. He spent only three seasons in the pros, getting to AA Williamsport, but his career ended before he could get any higher. Razook was taken by the Mariners as his Fullerton team vied for the 1988 College World Series title. Fullerton was eliminated from contention in the second-to-last game by Stanford. In that game, Razook scored his team's first run, but struck out later to end the game. Earlier in his college career, Razook hit two home runs in one February 1987 game, leading Fullerton to a 9-7 win over Cal. He repeated that feat that May, with two home runs against the University of the Pacific. In March 1986, Razook recorded two hits and two RBIs in a Fullerton win. He also played a summer of 1987 in Alaska. Days after Fullerton's loss to Stanford in June 1988, Razook signed with the Mariners. With the Mariners, Razook started at single-A Wausau, hitting just .199 in 63 games. He hit two home runs and knocked in 22. He returned for 22 more games at Wausau in 1989, hitting .265 in 68 at bats. Moved up to AA Williamsport for 77 games, though, Razook hit just .238. 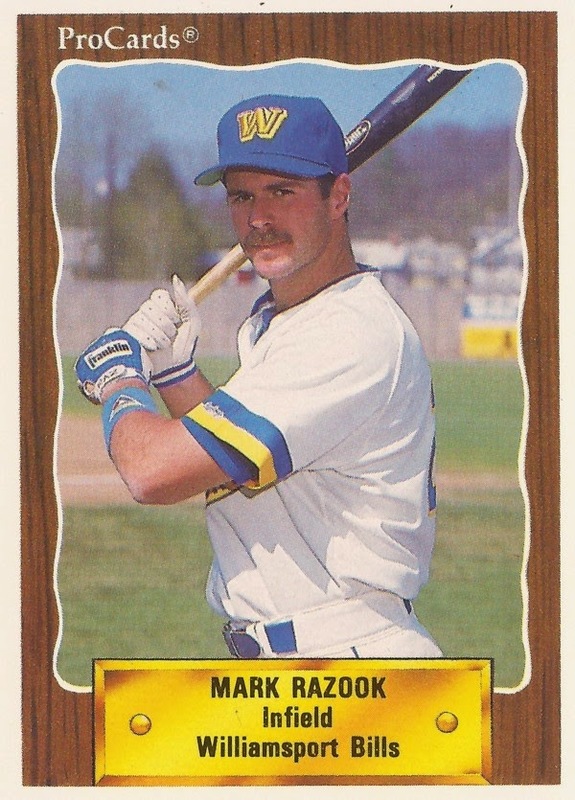 In 1990, what would turn out to be his final year in the pros, Razook played back at Williamsport. He also platooned much of the year at short, getting into 88 games. In that time, though, he hit just .171, with two home runs, ending is career.